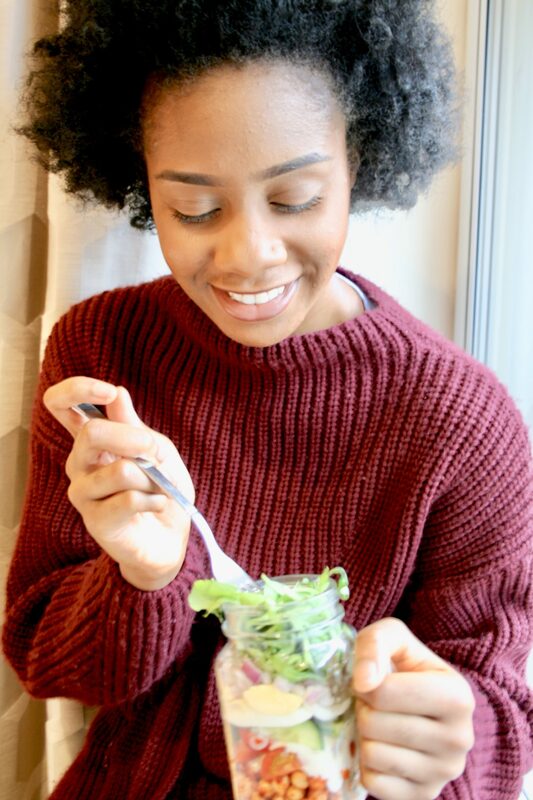 If you’re Ghanaian, you’re probably aware of the cream-drenched dish we call salad. Don’t get me wrong, I LOVE a good portion of Ghana salad and look forward to eating my Granny’s version every Christmas. However, if you’re looking for a light salad to eat on a daily basis, this dish is not the one. 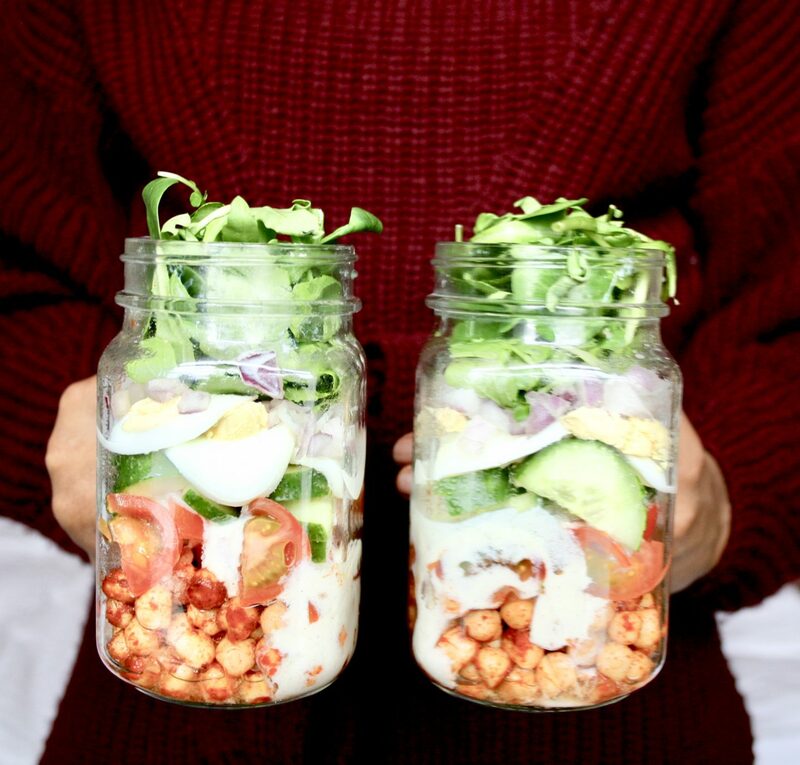 Different households make their own versions of it but the typical salad contains lettuce, tomatoes, a type of onion, cucumber, boiled eggs, baked beans, mayonnaise and salad cream. Some people add tuna, pasta or carrots to their versions. 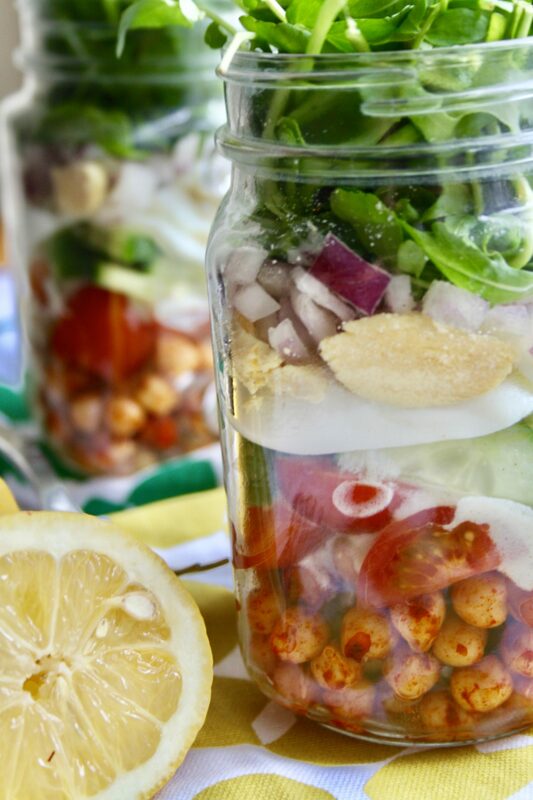 Altogether, this definitely creates a tasty salad! 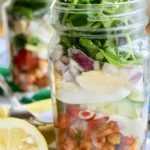 Following the salad jar trend, I decided to create a remixed version free from high fat salad cream through using my tasty low-fat greek yogurt alternative. 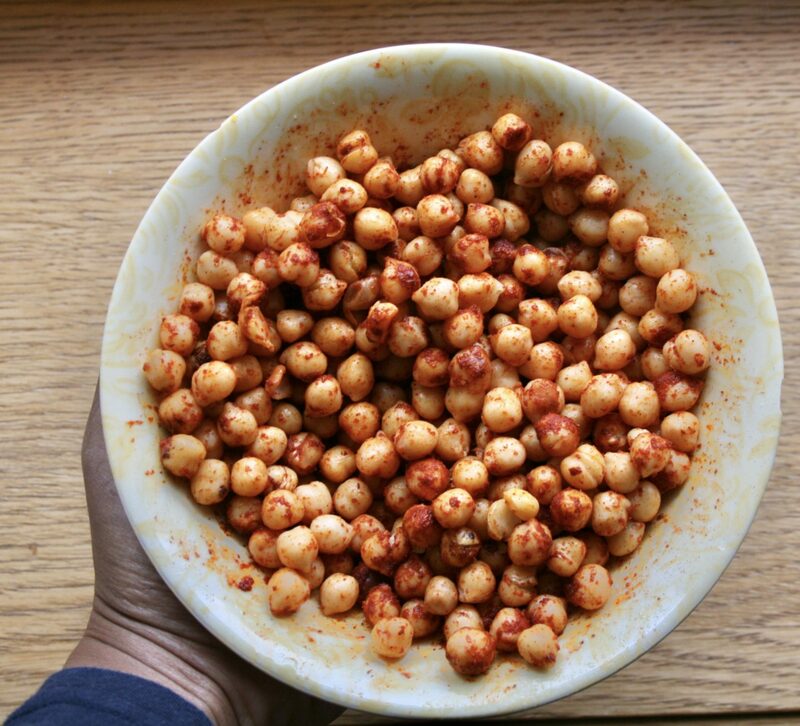 Although I love the added touch from baked beans, I know a lot of people are not huge fans of it so I experimented with a smoky paprika chickpea alternative which was tasty, lower in sugar, reminiscent of baked beans and filled with protein and fibre. I also replaced the typical lettuce used with mixed green leaf vegetables which I found to be super tasty. However, you can always use any salad leaf of your choice. 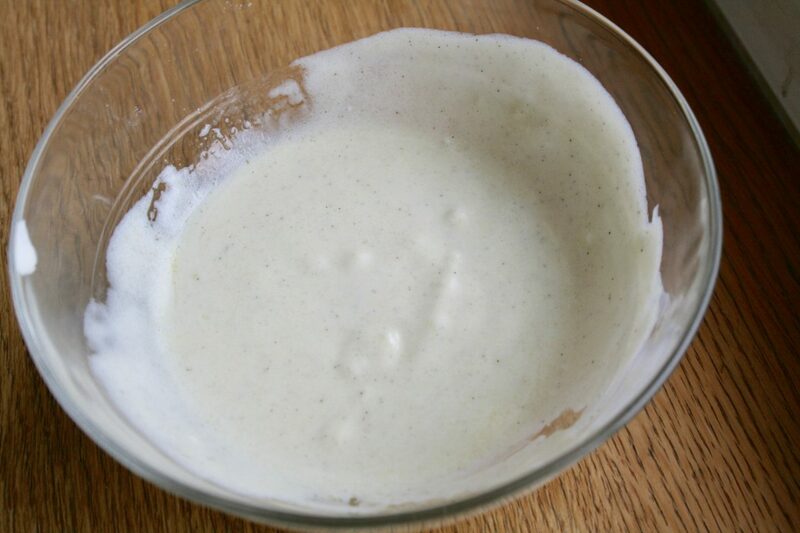 My light yet creamy salad dressing…. 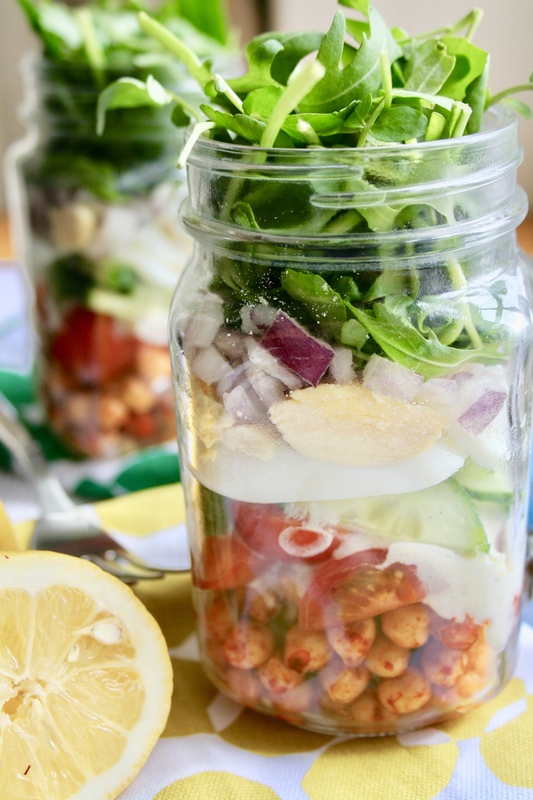 This Lighter Ghana Salad In A Jar recipe is perfect as a mid-week meal, as the jar version makes the perfect portable packed lunch. The flavour combination is absolutely delicious and filling. This meal is also the perfect way to sneak vegetables into your diet, which are an essential component. 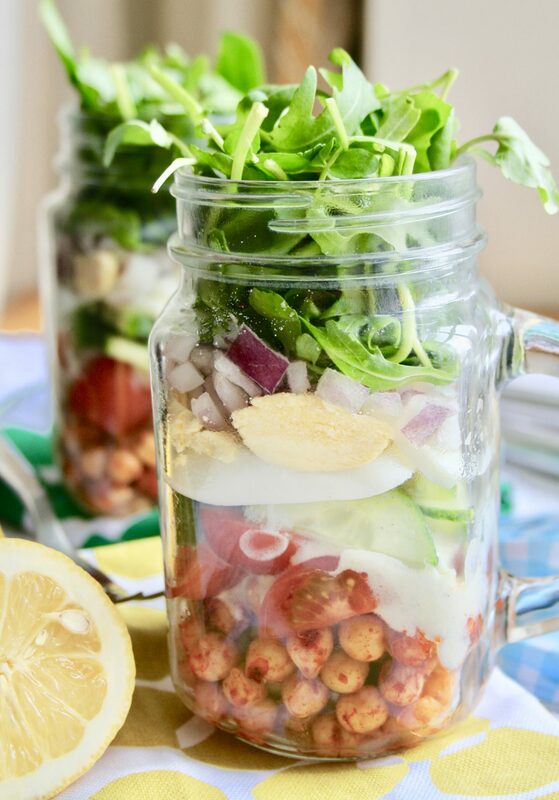 #1- When assembling a jar salad, you always put the dressing either at the bottom or in the middle and never at the top otherwise it will make the salad soggy. 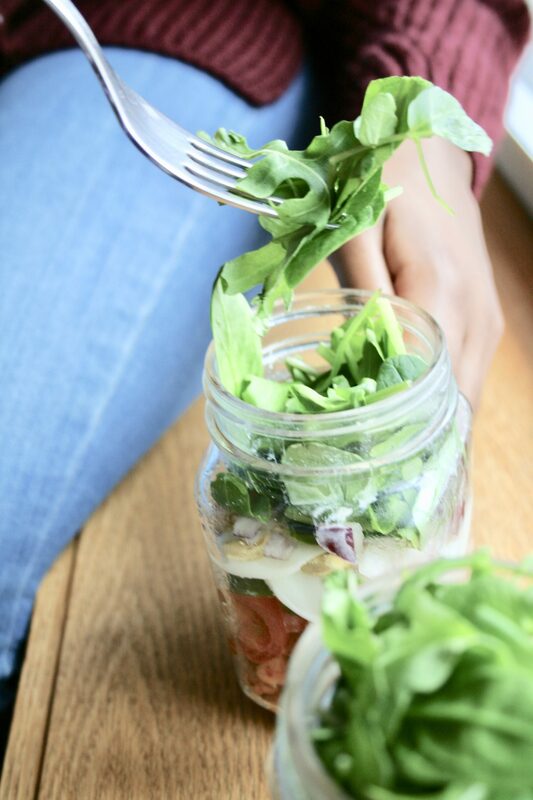 This is also why the salad leaves are kept at the top so that they stay fresh and crispy. 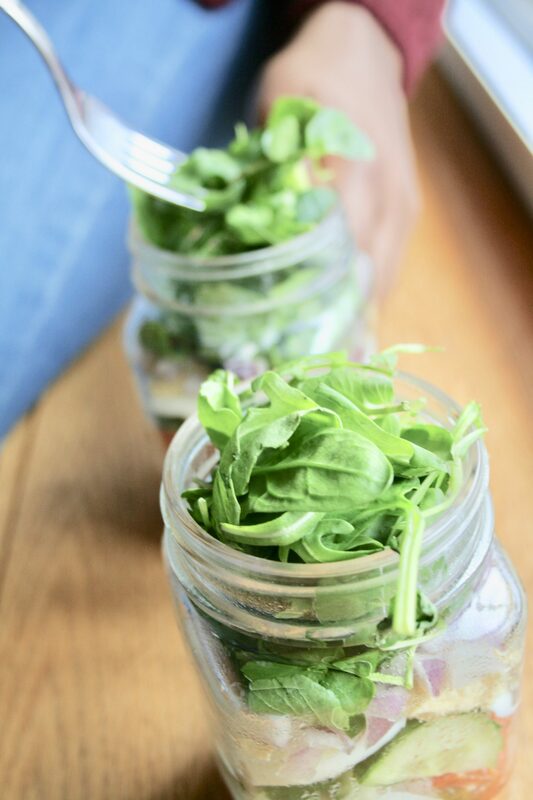 #2- You can store the salads in the fridge for up to 4 days. Drain your chickpeas and rinse with water. Add them to a bowl and add your paprika, 1tsp of olive oil and pinch of salt. Mix until each chickpea is fully coated. 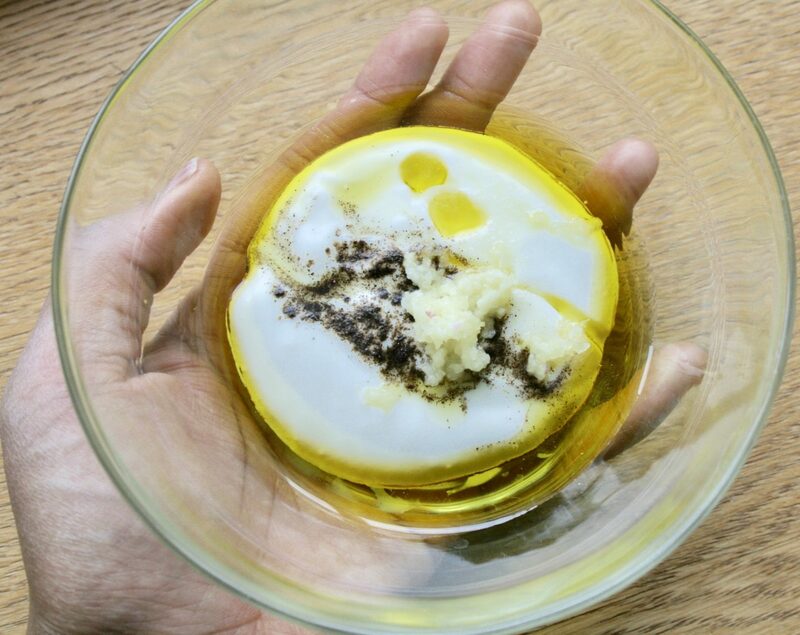 Boil your eggs until they are hard boiled. When they are cooked, cut them into slices. Chop up the rest of your vegetables into the shapes you desire. 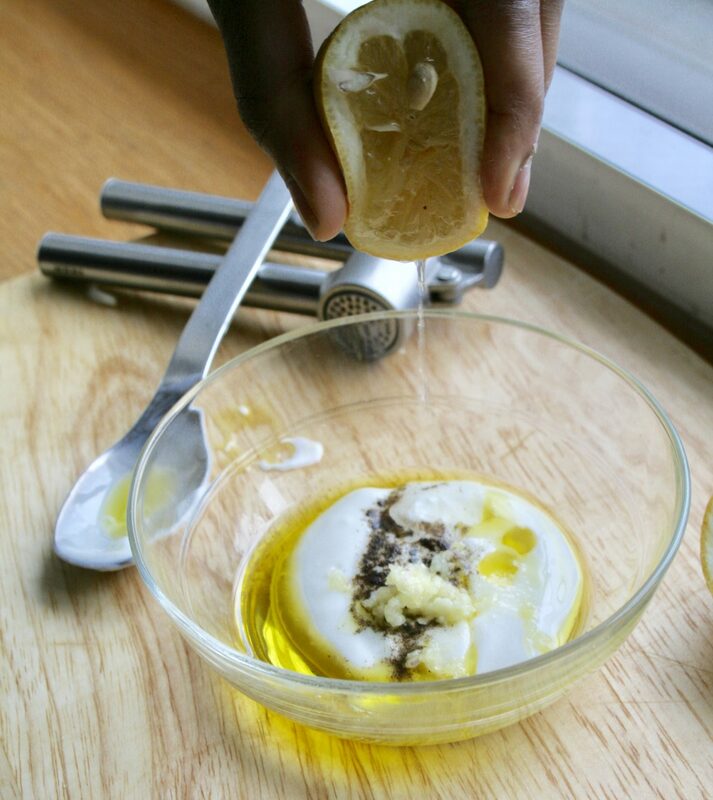 For the dressing: add all your ingredients into a bowl and mix. TIME TO ASSEMBLE! First, add your chickpeas, followed by your cherry tomatoes. Then, add your dressing, cucumber, boiled egg, onion and lastly, the salad leaves. Enjoy! ⟵5 WAYS TO SPRING CLEAN YOUR FITNESS GOALS!